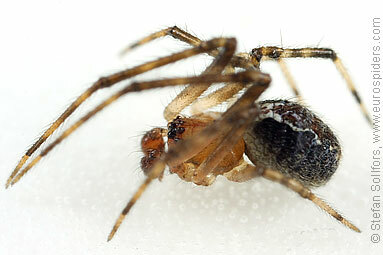 Male Theridion pinastri, side view. 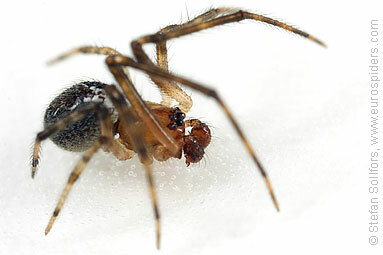 Male Theridion pinastri, side view. 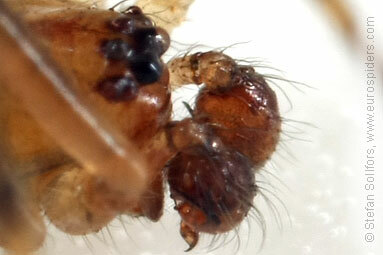 Note the swollen epigastrium. 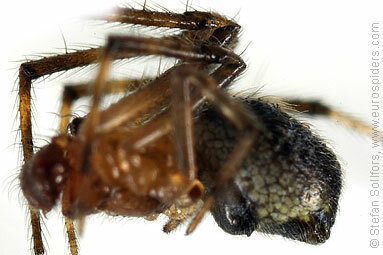 Male Theridion pinastri, same photo as above, close-up of eyes and palps. 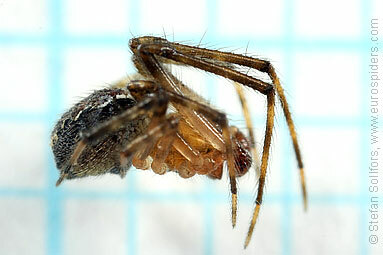 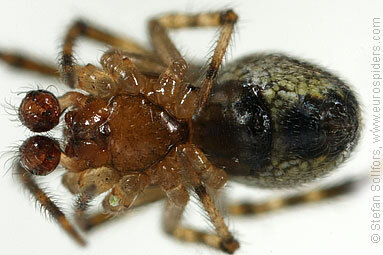 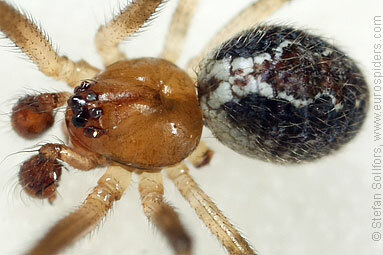 Male Theridion pinastri, close-up of body. 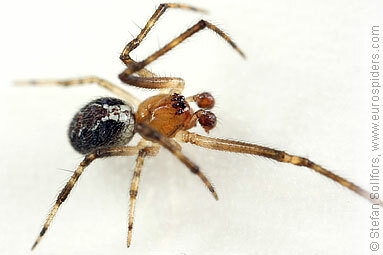 Male Theridion pinastri, just above 2 mm long.